Female birds are prone to stress during the breeding season. 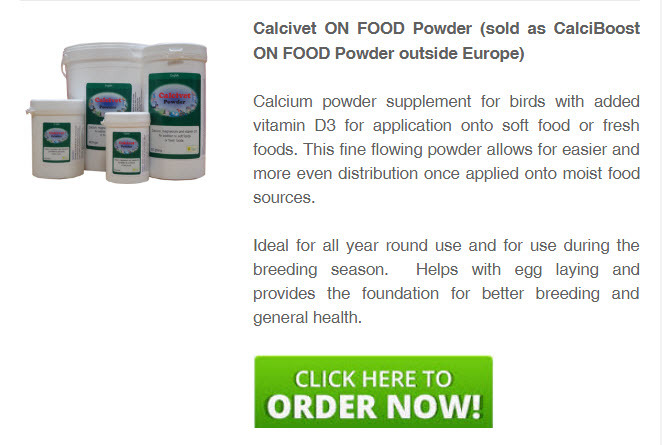 Egg laying consumes great quantities of calcium and the egg contents need lots of protein, fats, vitamins and minerals. The nutritional quality of the egg is very important to the survival chances of the embryo. This video explains how simple changes to your bird's diet can promote healthier egg laying. 1. The quality and quantity of the eggs produced do not have to be exclusive. 2. Providing quality chelated calcium will play a role in increasing your clutch sizes. 3. Chelated calcium helps to regulate calcium throughout the body. 4. Prevention is always better. 5. Adding a powerful liquid probiotic will also help with clutch sizes.